Funny Animals In Costumes show just how many different, creative ways we can dress up our little friends. We love putting our Teacup Poodle in one of her funny outfits insisting she go with us. Some public places absolutely prohibit a dog from entering their doors. We've found the welcome mat is always rolled out for us at the hospital, nursing home and Hospice when a phone call is made up front. Animals are theraputic. It has been proven that petting an animal releases stress and actually adds time onto your life. These funny pictures of animals illustrate why animals are such an inclusive part of our lives. These little guys are truly our Best Friends. 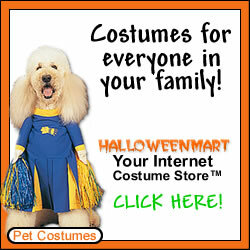 Suit them up with some of these costumes.